Goranga plans at offering worldwide tours, activities, attractions, transfers and much more. 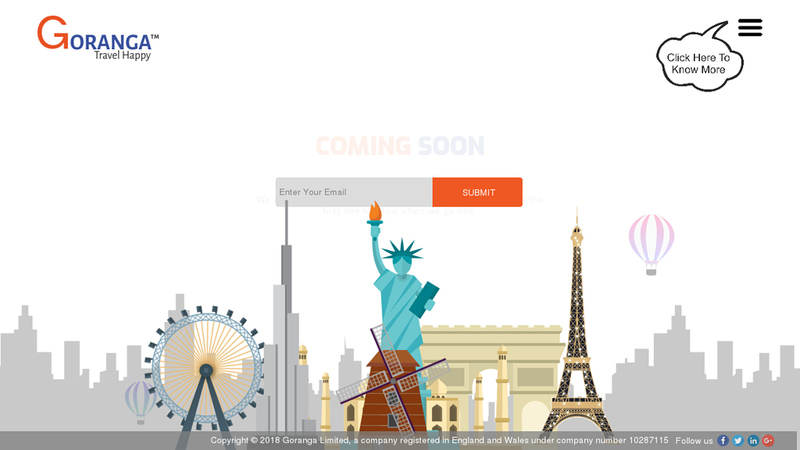 (TRAVPR.COM) ENGLAND - January 14th, 2019 - Last month we told you about an upcoming online travel platform, Goranga & the ideology behind it. Recently we met the founders again & had a word regarding what kind of travel activities were they planning to market on their platform & how would it be beneficiary for today’s traveler. They stated that they are planning to focus on marketing worldwide day tours, activities, attractions, excursions & transfers on their global platform. Further they added that – “We are interested in curating the travel services from the local vendors directly avoiding the involvement of middle man to maximum possible extent. Plus increases the possibility of an authentic, personalized & relaxed trip as compared to the one which involves a lot of third parties. They highlighted that Google has paved way for futuristic development in all spheres of life & travel is no different. Travelers are now smarter & are bored of the regular ‘things to do’ that they get on almost every other website. The situation tours sour when the provided on ground tour service doesn’t meet their expectations / what has been sold to them. We, at Goranga, are trying our best to only partner with trusted local tour vendors who can maintain the desired service standards so that customer is satisfied with the service which has been offered to him. At Goranga, we are always in search of Travel partners who have established their expertise in the Local Travel Services that they provide. To know more about Goranga & the services they are going to provide, you can visit their website www.goranga.com & request for collaboration by following instructions as detailed in Partner with Us section.